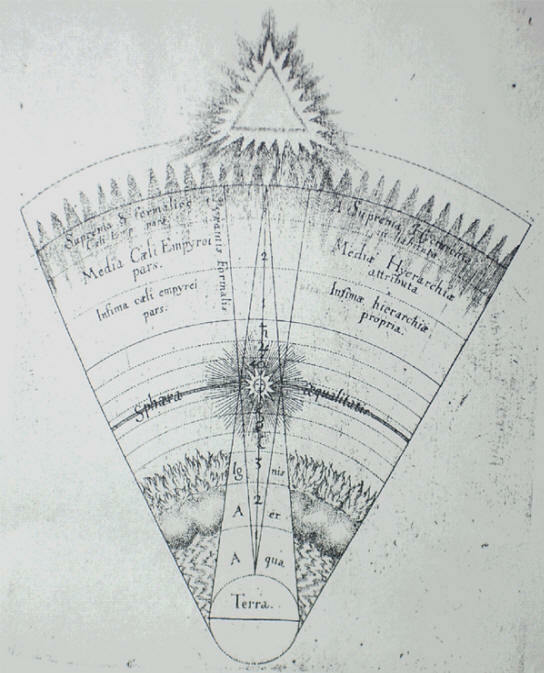 Robert Fludd (1574-1637), Utriusque Cosmi Historia, Ia89). the upper and the lower regions of the universe. What powers the sun? Some three generations of astrophysicists have perfected the dominant theory that the sun, like all other stars, is a giant nuclear fusion reactor, producing radiation as it converts hydrogen into helium in its core. 'Another thing also need not excite wonder, how it can be that so small a sun emits so much light, enough to fill with its flood seas and all lands and the heavens, and to suffuse all with warm heat. For it is possible that from this place is opened one single fountain of the whole world, to splash its generous flood and to fling forth light, because the elements of heat gather together from all parts of the world in such a manner, and their assemblage flows together in such a manner, that the heat flows out here from one single source'. The cult of the sun god rose to unprecedented prominence during the Roman Empire, spawning a rich and largely unexplored literature on the sun’s physical and spiritual nature. Against this background, the notion that this luminary collects 'elements of heat' from 'all parts of the world' fired the imagination of numerous authorities, who, in the footsteps of Pythagoras and Plato, regarded the sun and other celestial bodies as intelligent entities thriving on a constant influx of a mysterious concept dubbed ‘the good’, ‘the intelligible’ or ‘cosmic soul’ from the highest and outermost regions of the universe. That such thinkers did not eschew metaphysical speculation of this kind is somewhat understandable considering that they did not have today’s accomplished chemistry and sophisticated tools for observation at their disposal. It should certainly not detract from the intellectual originality of the notion of an externally powered sun. Writing in Egypt, the Jewish allegorist, Philo of Alexandria (20 BCE – 50 CE), reasoned that 'the sun and the moon, and all the other planets and fixed stars derive their due light, in proportion as each has power given to it', from 'that light, perceptible only by the intellect, which is the image of the divine reason' and of God, really 'a star above the heavens, the source of those stars which are perceptible by the external senses, and if any one were to call it universal light he would not be very wrong'. The Roman grammarian and Neo-Platonist, Macrobius (5th century CE), whose writings epitomise the glorification of the solar deity, equated this ‘cosmic cable’ running through the sun with 'the golden chain of Homer': 'Accordingly, since Mind emanates from the Supreme God and Soul from Mind, and Mind, indeed, forms and suffuses all below with life, and since this is the one splendour lighting up everything and visible in all, like a countenance reflected in many mirrors arranged in a row, and since all follow on in continuous succession, degenerating step by step in their downward course, the close observer will find that from the Supreme God even to the bottommost dregs of the universe there is one tie, binding at every link and never broken. This is the golden chain of Homer which, he tells us, God ordered to hang down from the sky to the earth'. This line of thought received its fullest elaboration in the work of Proclus Diadochus (412-485 CE), a vegetarian and lifelong bachelor heading the prestigious Academy that Plato had founded in Athens. Proclus’ cosmology boiled down to the idea that space is effectively light, as light pervades the entire cosmos. This underlying ‘power grid’ communicates itself to the smallest scales via channels Proclus called seirai or ‘cords’. 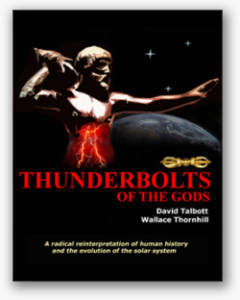 Chief among these was the ‘solar series’, which commences with the One Being or Kronos, which is the purest and invisible form of light, continues through the Demiurge of the world or Zeus and a ‘supracosmic’ sun personified by Apollo, and ends with the ordinary sun, Helios, which is visible to us in the sensory world. The Demiurge 'is the "king of the universe," bathed in and transmitting the light from the One, and kindling the sun with it; hence his title "source of the sun"'. Thus, in his Hymn to Helios, Proclus invoked the sun as a 'dispenser of light', who does 'channel off from above a rich stream of harmony into the material worlds'. 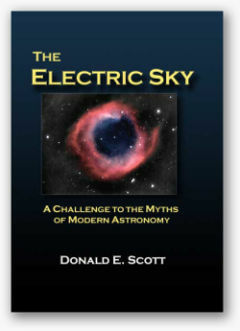 An invisible substance akin to light but more ‘ethereal’ that permeates the entire universe and kindles the sun and other stars – such an idea is obviously far out from the viewpoint of current astrophysics; a researcher who would only cast doubt on the accuracy of the nuclear fusion theory of stellar powering already runs the risk of being fired. Yet to plasma cosmologists, the arcane Neo-Platonic musings about ‘cosmic cords’ or ‘strings’ transmitting the sun’s essence sound far less abstruse. The Norwegian scientist and explorer, Kristian Birkeland (1867-1917 CE), was among the first to suspect that space is saturated with electrical currents: 'It seems to be a natural consequence of our points of view to assume that the whole of space is filled with electrons and flying electric ions of all kinds'. Electrons, of course, move in currents. The Swedish plasma physicist, Hannes Alfvén (1908-1995), further cemented the view that space is not a vacuum, punctuated by galaxies, but is 'filled with a network of currents which transfer energy and momentum over large or very large distances. The currents often pinch to filamentary or surface currents'. 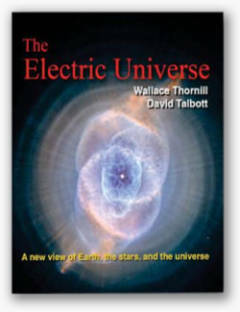 Since then, writes another plasma physicist, Eric Lerner, 'the idea that space is alive with networks of electrical currents and magnetic fields filled with plasma filaments was confirmed by observation and gradually accepted … The universe, thus, forms a gigantic power grid, with huge electrical currents flowing along filamentary "wires" stretching across the cosmos'. Although plasma cosmologists have not yet followed up on Herschel’s hunch, the Graeco-Roman thought experiments regarding the sun’s intermediate position on a cosmic power cable no longer sound outrageous on a paradigm that already envisions a universe alive with untold plasma wires stretching across vast distances. Lacking the requisite equipment used today – as if they themselves somehow received direct illumination from the interstellar circuit – these classical savants hit upon concepts eerily similar to the ones formulated in modern plasma cosmology on an independent and empirical basis. Should Herschel’s suspicion be confirmed one day, these prescient minds therefore rate a mention in the roll call of pioneers.